Ahh, the Web form. 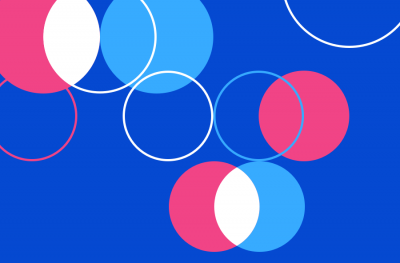 It’s present on nearly every site on the Web, and yet so many other testing opportunities, like layout and design, get the lion’s share of attention. Let’s face it—up to this point, everything your visitor knows about you is based on what you tell them. You dangle a juicy offer, back it up with all the necessary trust factors, and hope for the best. Now’s not the time to skimp on making it easy for them to take action, which in most cases involves filling out a form. With that being said, here are ten small fixes you can make to improve conversion rates on your Web forms—starting right now. As it turns out, shorter forms helped save one company $10 per lead—a small price that can quickly add up when you’re paying for performance. In the same study, Marketo discovered that it was cheaper to have customers fill in only crucial data, then buy the rest from a data broker, as opposed to potentially losing out on that lucrative lead simply because of the sheer amount of data asked for in the form. 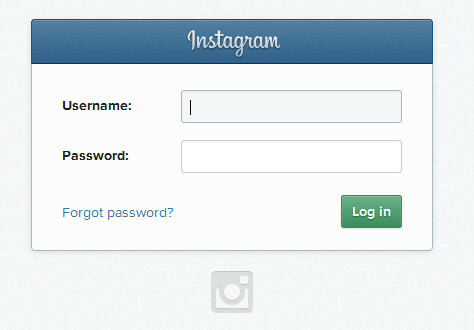 Look at Instagram’s login field. Short and simple—but also touch-friendly for mobile devices. The truth is, in this day and age, responsive design is a must-have as people are accessing the web on all kinds of touch-compatible screens. If your forms are too small or cumbersome to work with, even on a smaller screen, you can bet potential customers will simply give up and go elsewhere. Putting a phone number field on a form sounds like a great idea. 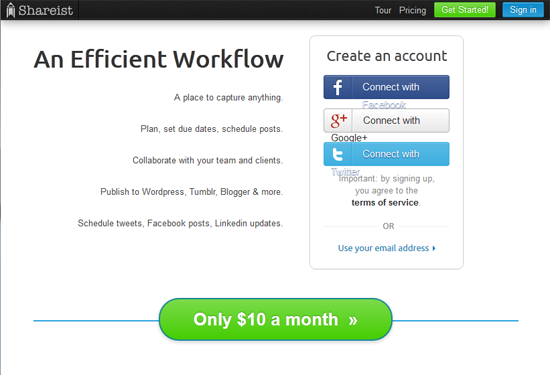 After all, it gives you the fastest, easiest way to connect with a prospect. But people are leery. They don’t want to be sold to, either from you or anyone else that you happen to sell their number to. Even with “Do Not Call” registries, being called in the middle of dinner is still a very real concern for many people. 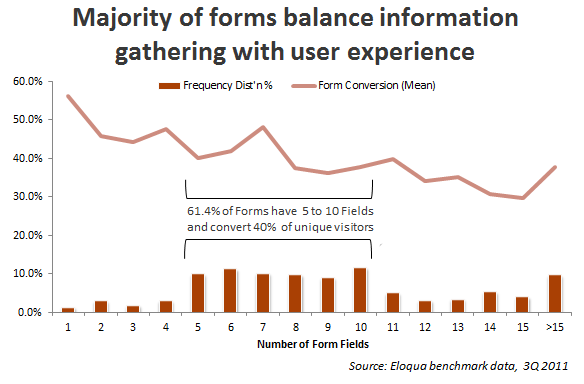 Other studies have shown that the more form fields you require, the more conversion rates drop—and with phone numbers in particular, there’s a greater degree of hesitation than with email addresses. This doesn’t only support mobile responsiveness. It’s also general good practice. There’s perhaps nothing more confusing than clicking or tapping on a form (especially on a small screen) and accidentally typing your email address into the phone field or vice versa. 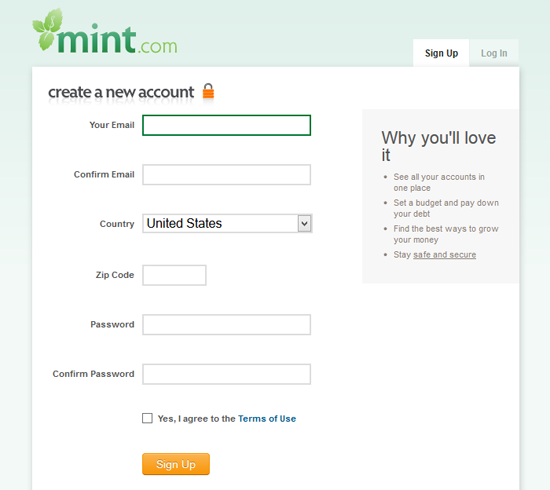 Mint solves this issue by highlighting the current field, so that there’s less potential for mistakes. A small step, but one that likely improves their lead quality quite a bit. 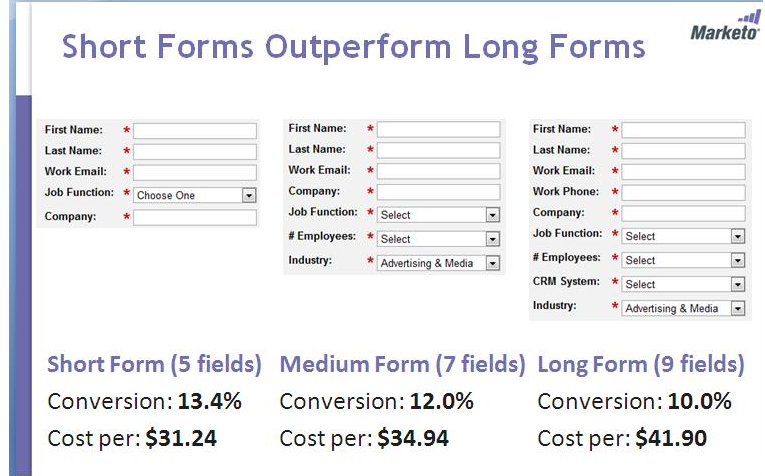 Multi-columned Web forms are a fairly common way to get the most information out of the smallest space. But beware. Mobile responsiveness and general web browsing expectations dictate that horizontal forms lead to greater confusion. In one study conducted in 2009, only one-third of users preferred a horizontally scrolling area, although preferences are growing toward a more horizontal layout because of the connection with books and eBook readers. The problem is the text normally disappears from the moment you put your cursor in the field, leaving the user trying to remember what information they were supposed to input there. The more form fields you have, the more cumbersome it becomes—not to mention that screen readers (assisted devices for the blind) and other programs are tailored to read form labels outside the field. 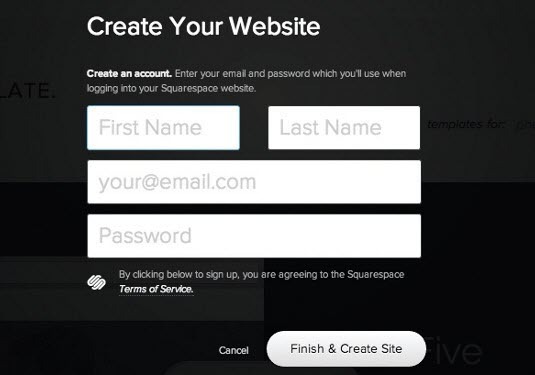 If your form requires users to register in order to use your service, giving them the freedom to sign up using one of their existing accounts (such as Facebook, Twitter or LinkedIn) can not only save them the hassle of having to remember yet another email address and password, but can give you valuable insight into their other social network connections as well. These days, although users have the option to create a standard account on many sites, there’s also an added flexibility to log in using one of their preferred social networks. In a study by Janrain, incorporating social login functionality led to an increase in form completion ranging from 10 to 50% with results happening almost immediately. This has become more of an expectation as more and more services become entwined with social media—don’t be left behind! 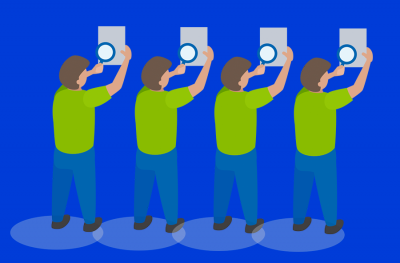 When a user reaches your form, depending on your headline, offer and call to action, they may be having a bit of an internal dialogue with themselves. What kinds of internal questions are your users asking when they reach your forms? It goes without saying that form areas, much like landing pages, should be as clear of distractions as you can possibly make them. That means your form isn’t the place to show people related products (you should’ve been doing that long before they reached this point!) or showing third party ads (you worked so hard to get them this far! Why lose them now?). 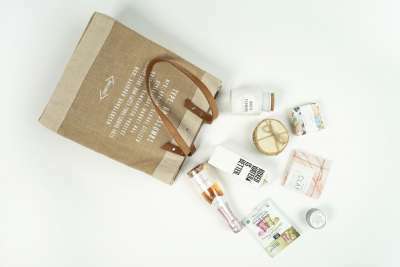 Exceptions to this rule include your return policy, shipping estimates and refund policy. Those are, again, common concerns that shoppers and browsers may have before submitting your form—and it’s best to spell them out in plain English so there are zero barriers to completing the order. This is a very common question among users and, sadly, one of the most overlooked areas of the form itself. 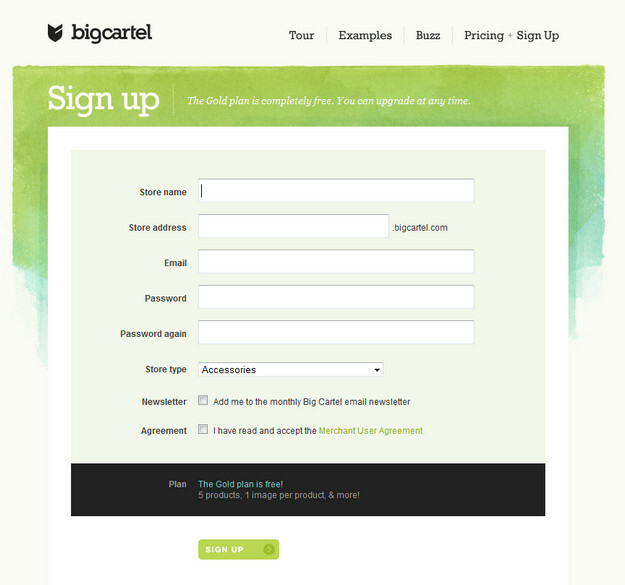 Typically, users are redirected to a thank you page where they get an order confirmation. But what happens then? Can you give them a tracking number or estimated date that their product will arrive? What about step-by-step installation and setup instructions for your digital product? Are there any third-party tools that they’d need to open the file? Who do they get in touch with if they have questions? These are all issues that can commonly cause buyer’s remorse from the moment users hit the Place Order or Submit button (which, consequently, should be named anything BUT “Submit!”). Addressing them on the thank you page will make visitors feel more at ease and comfortable with placing future orders—which is itself the ultimate testament to a great conversion rate!